It is much easier to keep wildlife out than to deal with an animal that has decided to den inside or underneath your home. 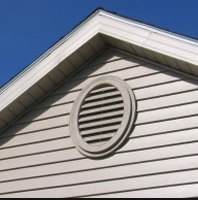 Regularly inspect the exterior of buildings on your property. 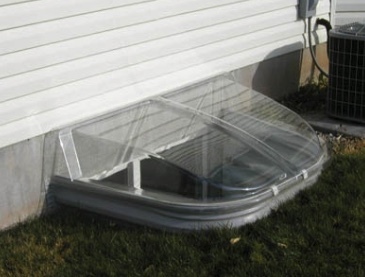 Siding, roofing or foundation materials that have suffered weather damage or deterioration make it a lot easier for animals to gain access to your home. 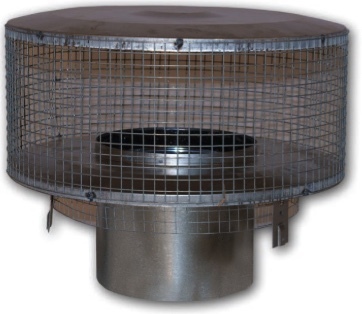 The best way to keep animals out of the chimney is to install a commercial chimney cap. These caps are secured to the chimney with bolts or screws. A less expensive alternative is to use 1/2″ × 1/2″ mesh hardware cloth. 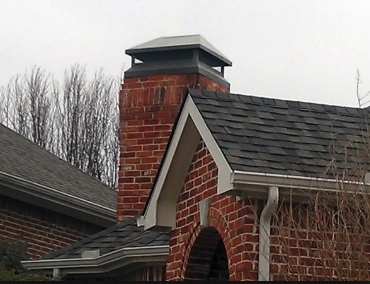 Leave a peak over the flue to prevent leaves and sticks from accumulating. To exclude wildlife, the hardware cloth must be secured tightly. Do not use window-screening material as it will clog with soot and other debris causing a fire hazard. From inside the attic, cover the attic exhaust fan opening with 1/2″ × 1/2″ mesh hardware cloth and staple into place. 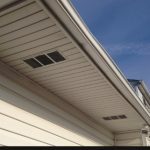 To make the exclosure more secure, overlap the edges of the hardware cloth with 1″ × 2″ pieces of lumber and nail or screw the lumber into the attic rafters. Cover the inside of the vent with 1/2″ × 1/2″ mesh hardware cloth. Inspect your home at least twice a year for signs of damage, paying close attention to areas where gables or dormers meet the roof line. Water damage can soften wood making it easy for animals to create holes or enlarge existing holes. Repair any damage after making sure the animal is not inside. For porches or decks built within 2 feet of the ground, dig a trench at least 10″ deep around the deck’s perimeter. Attach 1/2″ × 1/2″ mesh hardware cloth or 1″ × 1″ welded wire from the top of the outside joists to the bottom of the trench. Leave 6 to 8″ of wire at the bottom and bend it out at a 90 degree angle. Fill the trench with soil or rocks. Add a porch skirt or other cover to improve curb appeal. Cover window wells with commercial grates or plastic covers. Keep in mind that smaller animals may fall through a grate cover.